The delightfully artistic and playful author/muse SARK wrote in one of her many (wonderful/amazing/colorful/inspiring!) books about keeping notes on what a perfect day looks like in order to manifest positive things, and to recognize and appreciate when those wonderful things happen in your life. I've been running with this idea for a few months now, and have assembled my (ever-growing) list below. 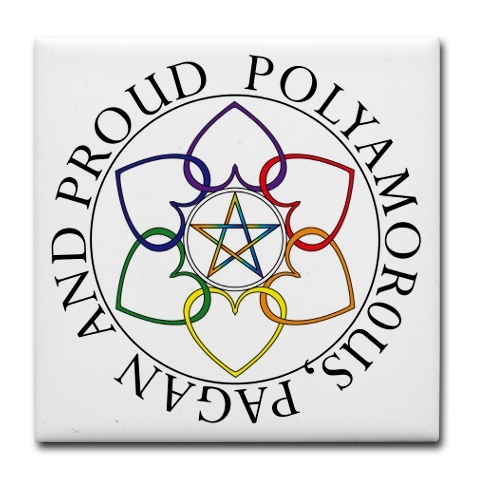 I've found that "coming out" as anything controversial or against what consensus reality would label as "normal" is pretty much the same across the board. 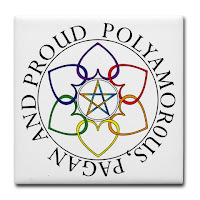 (this is coming from a Thelemic Pagan Polyamorous Lesbian, so trust me on this.) There will always be people who get their feathers all ruffled just because someone is doing things differently than they choose to. The thing to remember is ultimately these people don't matter. What matters is that you are being your honest authentic self, the person God/dess created you to be. If you do this you will find that your life opens up, and that you find the people who are your real family. These are the people who will love you for who you really are. They are out there waiting. Your life is out there waiting for you to grab it and own it! So, Glaux... you like owls huh? 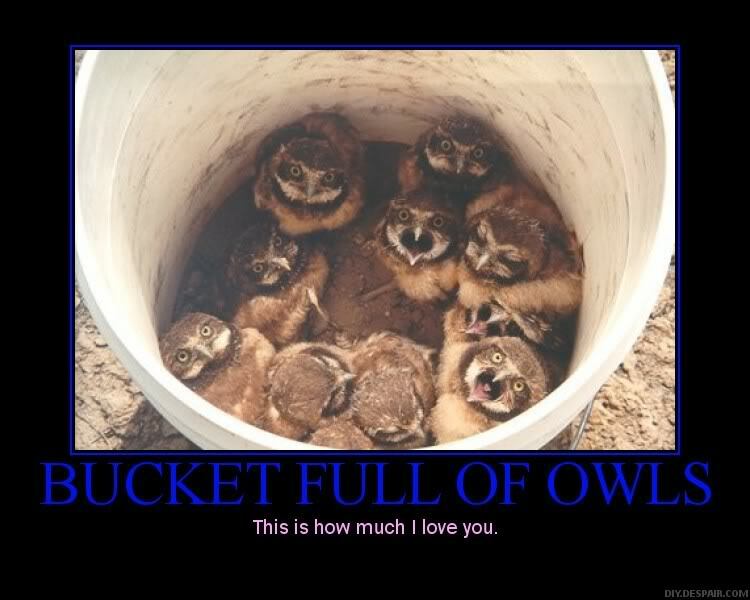 Yes I like owls. It's kind of a thing for me. Let me explain. When I was in high school I was that weird girl who was in all the school plays and painted her lips black and wore a biker jacket. I was also openly Wiccan, which really means I'd read a few Scott Cunningham and Ray Buckland books and I was really jazzed about this Lilith character I'd read about. Anyway, in spite of myself I was a real book hound proto-librarian type who loved to do research. I still have the (now very full) index cards that I started back then on each of the sepheroth. Much like today, if it had to do with the occult I wanted to know it. I was dating this guy who was in a garage band and was really into Native American spirituality. I think it had something to do with idolizing Jim Morrison. He lent me a book, Ted Andrew's Animal Speak. I thought this book was amazing. AH. MAY. ZING. Because of it I was determined to find my totem animal spirit. Armed with the wherewithal that only a sixteen year old can muster I boldly trekked out into the woods to commune with nature. I was certain that if I simply went out into the world with intent that the universe would make apparent my very own totem spirit in a matter of minutes. This did not happen. What did happen was that I missed lunch. And dinner. And nothing happened. No forest critters appeared from the brush for consideration as a totem. No chipmunks. No blackbirds. No nothin' for hours. The sun was setting, and I knew it was time to turn back towards home. The sky shifted orange and pink, and then to deep lavender. I was out of the woods and walking through the field next to my house when a monster tried to eat me. It came out of nowhere, aimed straight for my head. I ducked to the ground, prone and terrified. Of course, you can all guess what had happened now, but then, in the moment, I thought the sky was falling for certain. And yes, when I finally got the nerve up to peek at the tree behind me, there she was. Perched in a bare tree, silhouetted in the fading purple sky, the unmistakable outline of an owl. She is a great horned owl, and she sings me to sleep every night thereafter that I spent in my parent's home. In the evening she wings by my window. Flash forward into my early twenties as I am coming into my own as a magician. Every witch needs her fetch, and mine came in the form of a screech owl. I was now deeply into the mysteries of Lilith, and came to understand her as a kind of great cosmic mothering owl-spirit. I took my first magical name, Noctua, Latin for screech owl. I cut my staff from a grove where a nest of screech owlettes makes their home. I go on late night walks just to listen to them call out. And on into my thirties when I have collected my lineages and degrees, and have molded a truly magical life for myself. Athena starts talking to me. 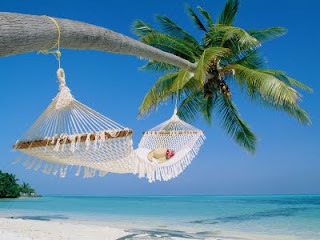 She gives me a few tasks to complete, and I perform most of them (one being the work of this blog). I begin to see that the "great cosmic mothering owl-spirit" is an archetype in many ancient European cultures. Lilith, Athena, Blodeuwedd, Ereshkegal, Calleach, the Burney Relief Goddess, and so on. I take another name. This time Glaux, Greek for owl. I don't know where the owl will fly me next. Right now she is embedded as the archetypical Black Goddess of the American Folkloric Witchcraft/Spiral Castle tradition I am working. She looms large as a life-sized copy of the Burney Relief over the desk I sit at now. I am surrounded by owl trinkets and paraphernalia. A wooden flute carved into an owl that makes hooting noises, an obsidian carved owl from my trip to Mexico, a maneki neko inspired owl from "Japan" in Epcot, several stuffed hedwigs, a stained glass owl from my mother in law. There are literally hundreds of them. Do I like owls? Yes. And I've come to think that, just maybe, they like me back. Another Babalon Rising festival is in the books, and my life is beginning to show signs of what those in consensus reality would call normalcy. 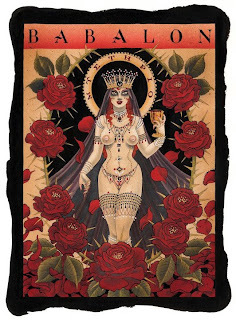 Babalon Rising, for those that haven't heard, is an annual four day occult festival dreamed up by yours truly and some of my closest cohorts. This was officially my "year off" for the festival. Meaning, instead of running around all day and half of the night like a manic trying to herd Thelemites (much worse than herding cats, I can assure you) I actually was able to attend portions of the festival and even sleep in. I got to ride around French Lick, Indiana with the legendary and notorious magicians Lon Milo DuQuette and Donald Michael Kraig. That's one for the bucket list. By the grace and wisdom of my spiritual sister Magdelyn M. I got to help begin working the New Aeon work of the Cup and the Paten. I had the stunning realization that, in a small way, I am helping to shape the history of occultism in America, something I love very much and am humbled by. In this year's Feast of the Beast ritual I invoked Hadit, the master magician. It is a good archetype for me to be working with, as much progress has been made since then on my other blog. Thus far I have held the FoB roles of: Babalon, Nuit, Baphomet (best costume EVER), a Maenad, a Scarlet Woman, and now Hadit. 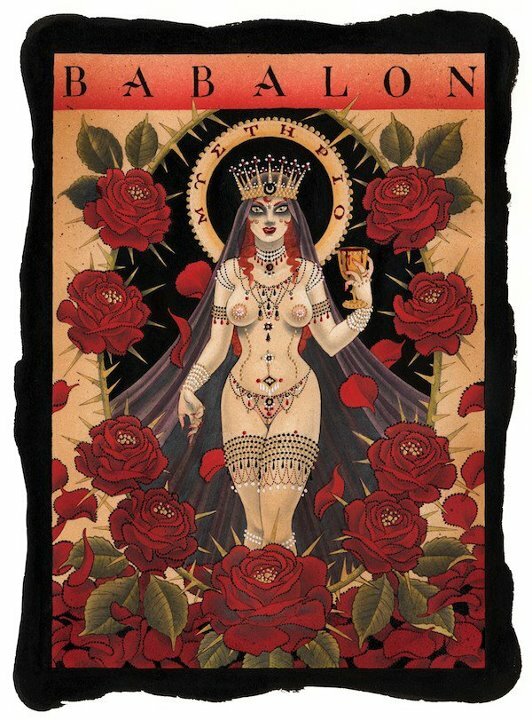 Next year is our seventh year and I plan to serve as Babalon once again. My profound thanks and agape go out to everyone who participated in this year's festival. The energy was astonishing. After performing the opening Star Ruby ritual I was so overcome I could barely walk, and that was just day one. Thank you sisters and brothers. 93!